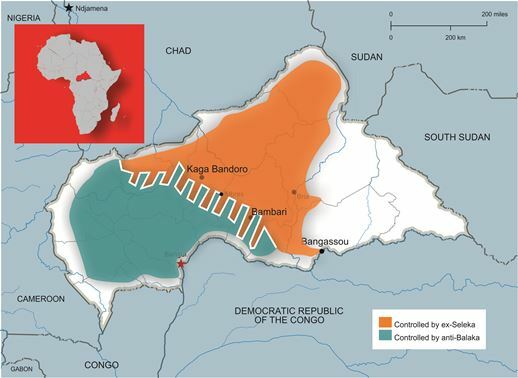 UPDATE (13 Oct.): Fighters from Central African Republic’s largely Muslim Séléka militia attacked refugees in Kaga Bandoro, in the country’s remote north on Wednesday (12 Oct.), reports Reuters. Thirteen people were stabbed or hacked to death, before U.N. peacekeepers repelled the attackers, killing at least 10 of them, officials said. Several locals were wounded. But a local MP, contacted by World Watch Monitor, said the toll is likely to rise as more bodies are recovered. A doctor and a nurse working for NGOs were among the victims, he said. He said the Catholic Church compound was ransacked, along with a camp which hosts some 5,000 refugees. Yongon Samson, 48, described seeing a headless body as he ran for cover. Thousands displaced from the most recent flare up of violence had gathered around the U.N. peacekeeping base. A Catholic priest took refuge inside. After a period of relative calm, violence has returned to the Central African Republic (CAR), which was wracked by near-civil war and inter-religious violence between 2012 and 2014. Attacks carried out by mainly Muslim rebels from the disbanded Séléka group have left scores dead in Bangui, the capital, and other regions of the country in recent weeks. 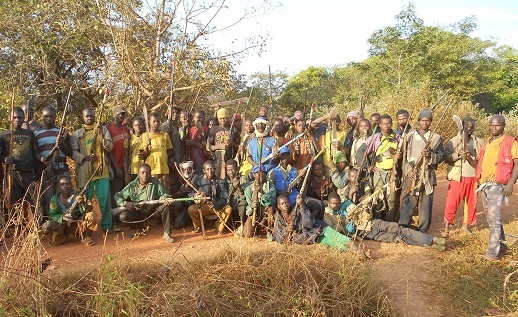 Even though the Séléka coalition was officially disbanded three years ago, CAR’s two prevalent dominant militia groupings are still linked to either the Séléka or to self-defence forces which arose against them, the “anti-Balaka” (anti-machete) , often animist or nominally ‘Christian’. “The old demons of reprisal attacks appear to be getting the upper hand again,” said a church leader in a message sent to World Watch Monitor. On Tuesday (4 Oct.) the situation suddenly deteriorated in Bangui following the killing of a senior army officer at PK5, the Muslim enclave of the capital. Col. Marcel Mobeka, an aide-de-camp to the former president, Catherine Samba-Panza, was fatally wounded when a man opened fire on his car. More than 20 were killed in a shoot-out between the Army and militia in the area the following day. “And as in politics nothing happens by chance, we do not know what tonight and the days to come may have in store for us. Yet again, the people living in my part of town have fled,” said the church leader. The violence in the capital follows an outbreak in the south, close to the CAR border, where on 26 Sept. dozens were massacred in the predominantly Christian town of Kouango. According to a number of sources contacted by World Watch Monitor, more than 85 people lost their lives, while 152 were injured (although earlier reports had indicated up to 200 might have died). An altercation between a Muslim and a man whose wife he had taken by force culminated in the Muslim’s death, a World Watch Monitor source said. In response, Séléka militants descended on the town in force, killing men, women and children: our source told of an “indescribable” scene of horror, which also saw three churches and over 500 properties reduced to ashes. It forced locals to flee across the Oubangui river to the neighbouring Democratic Republic of Congo. Other acts of violence, which left an unknown number of victims, have been reported at Koui in the north. Last month, as World Watch Monitor reported, on 15-16 Sep. scores were killed as members of Séléka attacked communities around the town of Kaga Bandoro, 350km north of Bangui. Now news emerging from survivors and displaced people has revealed the scale of the violence. 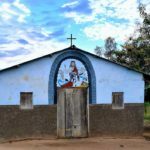 A World Watch Monitor contact, who was in Kaga Bandoro to present a seminar when fighting broke out overnight on 16 Sep., said that some ex-Séléka fighters even came into the church where the seminar was taking place and injured pastors there for the training. Séléka entered Ndomete, around 10km outside Kaga Bandoro. They went door to door, killing five people, including a local Catholic priest, whose church and house they looted, along with other houses. According to locals, all this happened under the watch of Pakistani troops from the UN MINUSCA. Adoum Ndako, 31, a commercial motorbike rider, was stabbed when he ran into Séléka men. In another settlement 3km from Kaga Bandoro, Séléka killed four people and looted the Chapelle de la Nativité Catholic Church. 1am: Changement Constantin (43), was shot dead outside his house in Kaga Bandoro. Séléka members entered his brother’s home, opposite his, to steal his motorbike. 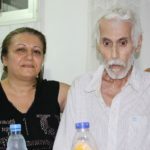 Constantin rushed out when he heard his sister-in-law scream for help, and was killed. 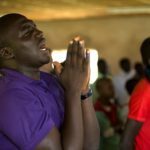 A member of the Eglise Co-operation Evangelique en Centrafrique, he left a wife and six children. 8am: Firmain Feidang, 29, was killed as he passed the UN MINUSCA office in Kaga Bandoro. Three Séléka men on a motorbike passed, and shouted at him to leave the road. He obeyed, but then one of them called him over and shot him dead. A member of the Eglise Baptiste CEBI, he left a wife and three children. When Séléka reached the church where the seminar was taking place, they went to the pastor’s house and assaulted him, before going into the church, looting it and threatening 15 pastors lodging there. The Séléka men ordered them to lie face down, threatening to kill them. At gunpoint, they beat them with their fists and machetes, before taking money and other valuables, including the bicycles on which they’d come to the seminar. One Séléka member protested, though, and the group eventually heeded his call and left. 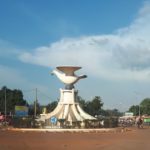 “Séléka considers Kaga Bandoro the capital of their self-declared republic in the northeast of CAR, the ‘République de Logone’, and that they have a right to kill all non-Muslims there. “Secondly, [Séléka] were angered over claims that hospital staff had not given appropriate care to Séléka members injured in an accident. Other acts of violence, which left an unknown number of victims, have been reported in Koui in the north. A CAR church leader told World Watch Monitor this outbreak shows the situation is still fragile and that there is a need to proceed to the disarmament and demobilisation of militias, which are particularly active in the north and north-east. 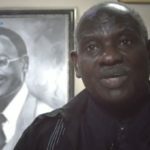 Yonas Dembele, analyst at the Research Unit of Open Doors, a charity which supports Christians under pressure for their faith around the world, said: “After the March election that was supposed to herald [stability], this [latest] massacre is the largest and most notable indication of the resumption of the sectarian violence that pitted Muslims and Christians against one another. Meanwhile, the Archbishop of Bangui, Dieudonne Nzapalainga, has been promoted to Cardinal by Pope Francis. Nzapalainga was one of CAR’s three religious leaders recognised for their major efforts in averting a complete breakdown of law and order in CAR, especially in 2013-14.